Japan can be the inspiration for many things. Karaoke is one (hint: sing the songs you know, not the ones you like) but there are also traits that show up in many great movies. If you ever wanted to walk the streets of Black Rain, you'll find the scenes include the central avenue of Dotonbori in Osaka, a hive of activity and businessmen who have imbibed a little too much. 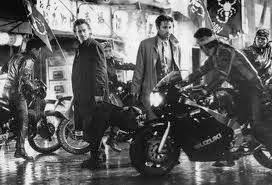 However, don't try and replicate the motorbike scene that leads to the demise of Andy Garcia. If you ride the bike into the underground car park you'd find you've actually crashed directly into the entrance barriers at Hankyu Umeda station. If you ever have the urge to re-enact the opening scenes of Blade Runner (interestingly also a Ridley Scott movie) go down to Hachiko crossing in Shibuya, Tokyo at night. Amongst the thousands of people and towering screens you'll feel you're in the film set itself. It was inspired on a visit to Japan and although Scott made Black Rain later in Japan he decided he'd had enough and didn't return here to make a movie again. The scene at the secret transport hub in You Only Live Twice is the not-so secret Nakano-Shimbashi station in the Tokyo district of Nakano. The station is still there with daily services using some of the shortest trains on the network at only four cars. 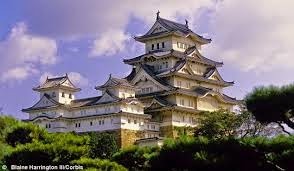 The castle used for the secret training camp is Himeji, west of Osaka. Interestingly Himeji is one of only three original castles left in Japan, the rest having being destroyed in the civil war of 1868 (rather than WWII) or dismantled and sold for raw materials. Lost in translation is set in the Park Hyatt in Shinjuku, Tokyo. Although a funny and interesting movie, more so for people who live here I believe, I still question whether someone having just arrived would really know about a small sushi bar in Daikanyama. Though I can't fault the concept, they are excellent. And finally, Inception. A movie that defies comprehension but in my view, that's part of the charm. The castle is based on Nijo Castle in Kyoto and the Shinkansen (bullet train) scenes are from the Tokaido Shinkansen that links Tokyo and Osaka. However the helicopter scene is from Ark Hills, the only helipad in Tokyo licensed for commercial flights. And if you would like to take a trip don't forget to ask for the Luis Vuitton helicopter!